We offer one of the largest selections of landscape blocks, pavers, decorative stone, and mulches in Southwest Iowa. We carry a full assortment of weed barrier fabrics, paver base mixes, and layout tools to make the project look great. And with delivery service available , we can bring it right to your curb. 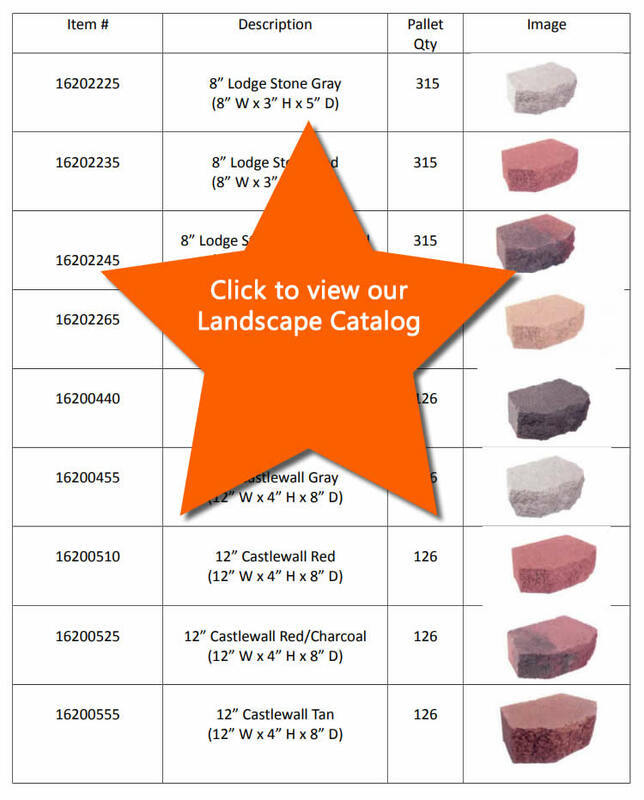 Check out our catalog below showing all the great products available and ready to make your outdoor project the envy of the whole block. If you would like to visit one of our locations and learn more about our Landscape Products, click here to find your local AKIN Building Center.